Every year, thousands of new devices are being released into the market; therefore, it is safe to say that there is no dearth of smartphones in the India. New features, bigger screens, faster RAMS, greater storage and powerful processors are constantly being added to smartphones to make them appealing and an investment worth making. However, none of the smartphones have managed to capture the imagination of enterprises the way Apple iPhones have, so far. 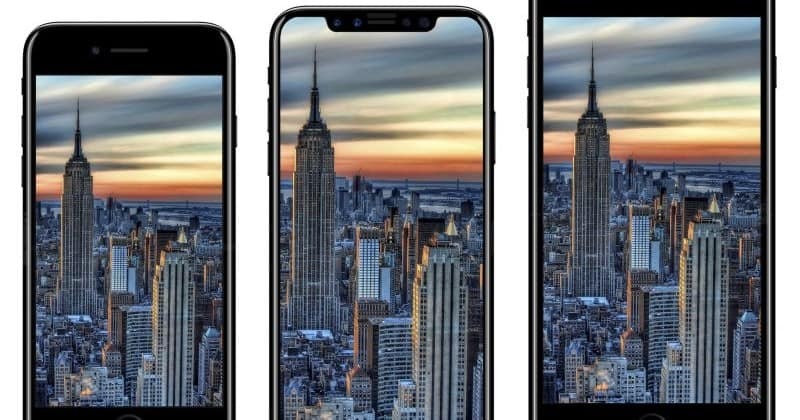 Apple is also expected to launch three new iPhones with the 5.8-inch OLED model expected to be called ‘iPhone XS’ and the bigger 6.5-inch OLED iPhone called ‘iPhone XS Max’, apart from Apple Watch, iPad Pros with Face ID, AirPods 2, and MacBook Air 2 tonight in the Apple Special Event ‘Gather Round’ in California at 10:30 PM IST. “We estimate that enterprise markets accounted for about $25 billion in annual Apple revenue in the last 12 months, up 40 percent over the prior year and they represent a major growth vector for the future,” said Apple CEO Tim Cook, according to a report on Tech Crunch. Apple CEO also revealed that millions of enterprises preferred using Mac to write their apps. Although enterprise was not the target of Apple initially when the phone was launched in 2010, Apple has managed to take the market over from BlackBerry successfully. The figures the Apple CEO is quoting is not exactly far fetched as a recent survey conducted by Jamf states similar findings. Out of 100, 75 percent of respondents indicated they chose an iPhone or iPad, while only 25 percent chose Android, says the survey. “When organizations give employees the ability to choose their technology, they consistently choose Apple. Of organizations with choice, 72 percent chose Mac and 28 percent chose PC,” according to a press release by Jamf. What Makes iPhones Successful in the Enterprise Market? Over the years, Apple has partnered with IBM, Deloitte, Cisco, SAP and other enterprises in order to make their products the preferred choice for businesses. Apple claims that iOS can change the way businesses work, make tasks smoother and faster, has personalized apps for businesses, and employees can even use their iPhones, Mac and iPads to write apps using iOS. An added advantage is the fact that the AppStore has over 2,35,000 apps for businesses on its platform. Apps like Receive by Wave, Invoice2Go, Apple Pay, Account Tracker Pro, HootSuite, Genius Scan, QuickOffice, Documents to Go, SAP BusinessObjects, and millions of others can be widely used by enterprises on a daily basis. Enterprises and their employees can also secure their data on iOS and macOS with file managers like Box, Dropbox, Microsoft OneDrive and Google Drive. Also, Apple was probably one of the first companies to inculcate technologies like augmented reality and machine learning to define the way businesses work. The Security offered by Apple devices is another reason for businesses to prefer the American multinational company. iOS and macOS are built on UNIX foundation making the devices secure. To protect corporate data, Apple also constantly encrypts information at the system level, at rest and in transit. Those using Apple devices are not unknown to the regular software updates that take place to protect iOS and macOS from emerging security threats. Face and Touch IDs to unlock devices and authenticate apps are added advantages, which prevent third parties from misusing devices. Apple doesn’t gather personal information like the queries to Siri to sell to advertisers or other organizations. Apple only uses consumer data to improve their experiences while keeping it completely private. Recently, Apple announced software updates like iOS 11.3 and macOS High Sierra 10.13.4, which provide additional device deployment and management capabilities to businesses. With iOS 11.4.1, IT can delay over-the-air device updates by users, so there is time and flexibility to complete a thorough certification. Once IT has certified a version of iOS, they can choose which version users should download and install. Then IT can directly push the update to all employees, says the Apple website. Also, iWork and Box have been transformed to create powerful documents, spreadsheets, and presentations. Box users are now able to now share and collaborate on single files apart from sharing folders. New features like Business Chat and ARKit 1.5 have been introduced to enhance customer experience. Apple also consolidated two of their business programs, the Volume Purchase Program (VPP) and Device Enrollment Program (DEP), under one platform called Apple Business Manager. The platform also allows IT administrators to manage employees, Apple devices like iPhones, iPads and Mac, as well as content from one centralized source. Why Apple iPhones are the Go-to Devices for Enterprises 0 out of 5 based on 0 ratings. 0 user reviews.